When Lindsey McKeon took on the role of Marah Lewis (No. 7) on “Guiding Light” back in 2001, she impressed daytime viewers and Emmy voters so much that she was nominated for a Daytime Emmy after having been in the role for a mere two months. Since then, she’s impressed fans of “Drop Dead Diva,” “Supernatural,” “One Tree Hill,” “90210” and many more with her featured and guest-starring roles. As she makes her mark on feature films (her latest short film, “Delicious Ambiguity,” is making the rounds on the film-festival circuit), the gorgeous and talented 32-year-old took the time to talk with me about her past on “GL,” her present co-starring as Tessa on “Supernatural” — Tessa returns tonight, May 13, at 9 p.m. ET/PT on the CW — and her plans for the future. Celebrity Extra: Tell me about how you got your start. Had you always known you wanted to be an actress? 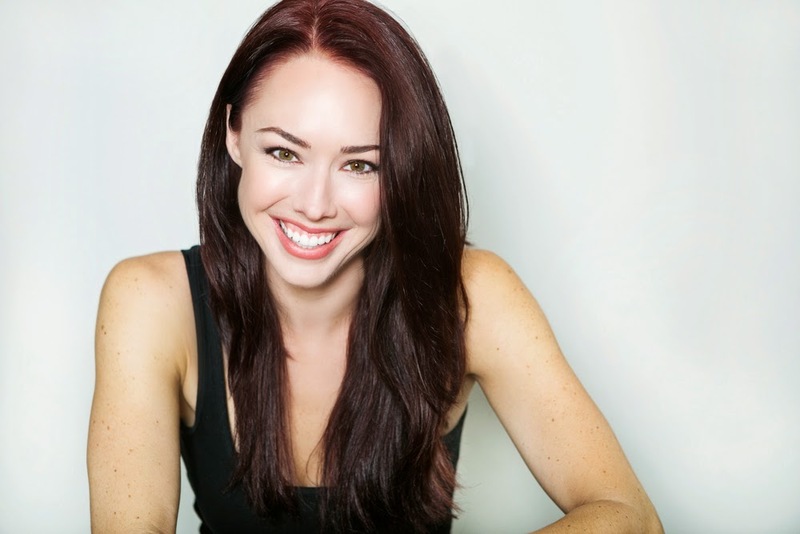 Lindsey McKeon: No, I didn’t always know, but there were definitely signs when I was young. In fact, in old home videos you can see me putting on a little bit of a show. It was always sort of in me. I like to explore; I like to play; I like to be different characters. But I didn’t really start exploring that until junior high. I was on the phone too much, and my mom wanted to give me a more exciting extracurricular activity. I went to an acting class, and it was the most freedom and fun I’d ever experienced in my life. For me, it was a relief. I always say that acting saved my life. I had a very difficult time in junior high and high school, so this gave me a way to find myself, experience myself and explore that without being so frigging uncomfortable. CE: You certainly impressed the folks over at “Guiding Light,” being nominated for a Daytime Emmy for playing Marah Lewis. But what could be better for a 19-year-old than to live in New York City? It’s such a tough city that it took me pretty much a year to adapt to it and not call my mom crying. But once I did adapt, I was really living it up, and to be able to work constantly, consistently, having new friends and living in the city was an amazing experience. I remember being on “GL” — probably my first year there — working with a dialogue coach and learning 20 pages of dialogue a night, every day of the week. My mind would reject the dialogue after a while and would tell me: “No. No more. I’m shutting down. And we won’t learn anything else.” That’s a terrifying feeling for an actor. I spoke with some of the others on the show, and they said: “Don’t worry. This happens to everyone. You sort of lose your mind in the beginning, and then you come back and adapt to it.” And you do get used to it. 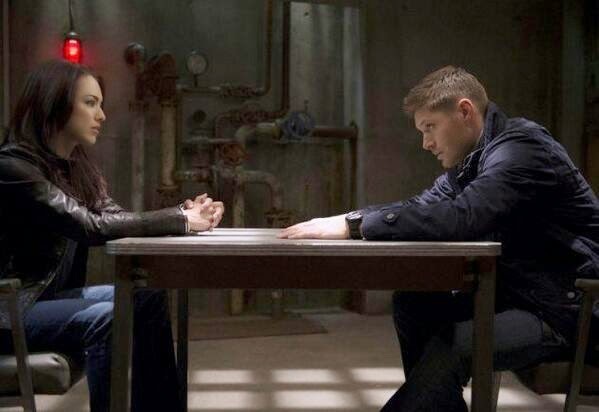 CE: Next up for you is your return to “Supernatural” as Tessa the Reaper. Are you excited to be working with them again? LM: I am very excited. I love Vancouver. I love the show. The boys (Jared Padalecki and Jensen Ackles) are great. I’m very happy to go up there again, and this is one of my favorite characters to play. CE: You recently guest-starred on Lifetime’s cult hit “Drop Dead Diva.” What was that experience like? LM: That was a really great experience, and a really crazy experience. The cast and crew were phenomenal — amazing people to work with, very sweet and easygoing. They made me feel so comfortable. In the middle of shooting our episode, we had to deal with a weeklong, vicious ice storm in Atlanta. But it was a wonderful experience. (“General Hospital” alum) Rick Springfield is in it. And the lead singer from Rascal Flatts is in it. It’s a super-fun, famous-people episode. LM: There are so many great actors in it, Arielle Kebbel (of “Vampire Diaries” and “90210”), Lucas Neff from “Raising Hope,” Lamorne Morris from “New Girl,” and lots of others. Two of my best girlfriends are in this. It was so cool to film — we just got our friends together one weekend and shot this super-fun short film. And now all of a sudden it’s in festivals and it’s doing really well. I play Ellie, the hot girl who loves fitness and loves men. She doesn’t really care what she says. She’s a very strong woman, and at times, other girls attack her for it. It’s fun, it’s comedic, but at the same time it’s very intense. It’s about uncomfortable relationships and all the different turns relationships can take. CE: While relationships can be scary, I’m thinking your new film, “Indigenous,” is even scarier. Tell me about that. LM: I am terrified of horror movies, and I rarely watch them because I will start seeing monsters in the shadows. It’s totally fine with me to be in the film, but to actually watch it is scary. When I screened this film, I jumped and screamed a few times. Then I started laughing because everybody around me was laughing at me. We shot it in Panama for about five weeks, mostly in the middle of the jungle. There were these crazy trees with spikes that we would often run into. We had to have the medics pull the spikes out of our arms and our legs. It was intense. There were monkeys, spiders — all types of jungle creatures. My boyfriend in the film, played by Zach Soetenga, is super interested in finding the chupacabra (a legendary “animal” that has been hunted by cryptozoologists, and those interested in this folkloric deadly creature, since the first sightings in the mid-90s in Central and South America), and finding out whether it’s real and investigating it. Most of us don’t believe it. My character thinks it’s a bad idea to go into the jungle to search for it, but all of my friends are like, “Let’s do it. How bad could it be?” And the rest happens from there. How bad could it be, right? Famous last words. CE: Why do they always do that? CE: Was the actual filming process for you scary? Of course you know that it’s not real, but still, you’re out in the jungle, filming at night. I’d be scared. CE: Career-wise, where would you like to see yourself in five years? LM: Film, film, film, film, film, film. For me, that’s always been a goal, because there is something so pure, so honest, so raw about film actors, and when you’re blown up on a screen that big, there’s no room to fake it. I love the sci-fi/action/thriller-type roles. That would be my ideal, playing some type of futuristic warrior who is traveling around all of these different worlds.